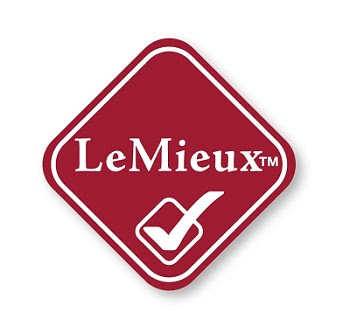 LeMieux are hugely proud of their Hay Tidy Hay Bag naming it the most effective, versatile, easy to use high quality hay bag on the market and I agree, they've got this one right. Designed to reduce waste and mess it does exactly that, this is now an essential for when we travel because I am that person who keeps a dust pan and brush in my trailer...I like everything to be immaculate. Likewise when we park up at a show, I always like to leave the area as I found it and the Hay Bag definitely reduces mess. When travelling I can often take two haynets or if for example I am going to the vets and have a haynet I don't want him to eat until we're on route home my usual routine would be to place a haynet in a tub trugg and store this in my trailer thus reducing the mess but the Hay Tidy Hay Bag takes away this requirement and can be stored neatly away until needed - genius invention! The Hay Tidy Hay Bag has a reinforced stitched feeding panel and can stand up to the most enthusiastic horse, so do not fear, it won't fall apart. Oscar had the opposite problem and spooked at first when the bag quietly rustled as he pulled his hay out but soon gained his confidence and happily munched away. The Hay Tidy Hay Bag is huge with a large opening so easy to fill, once full it closes with an adjustable strap for height and an easy clip, this made it simple to tie up and maneuver and in addition has an extra loop at the back, this would secure the bag from being pulled forward as much, or when travelling will stop it twisting around meaning no risk of them being left hayless.